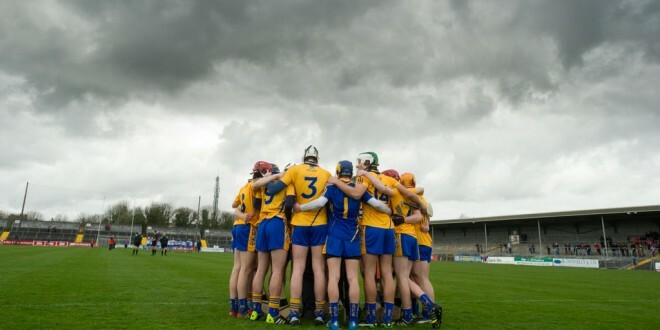 The Clare team huddle before their Munster Minor hurling Championship game against Waterford at Cusack park. Photograph by John Kelly. Michael O Shea of Clare in action against Conor Gleeson of Waterford during their Munster Minor hurling Championship game at Cusack park. Photograph by John Kelly. There was heartbreak for the Clare minor hurlers at Cusack Park on Wednesday evening when they went under by five points to All-Ireland champions Waterford in the opening round of the Munster minor championship. 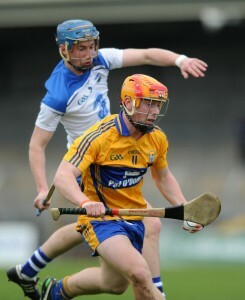 Brian Guilfoyle of Clare in action against David Prendergast of Waterford during their Munster Minor hurling Championship game at Cusack park. Photograph by John Kelly. However, Waterford fired home three points in two minutes to level with five still to play and Clare were clearly rattled. 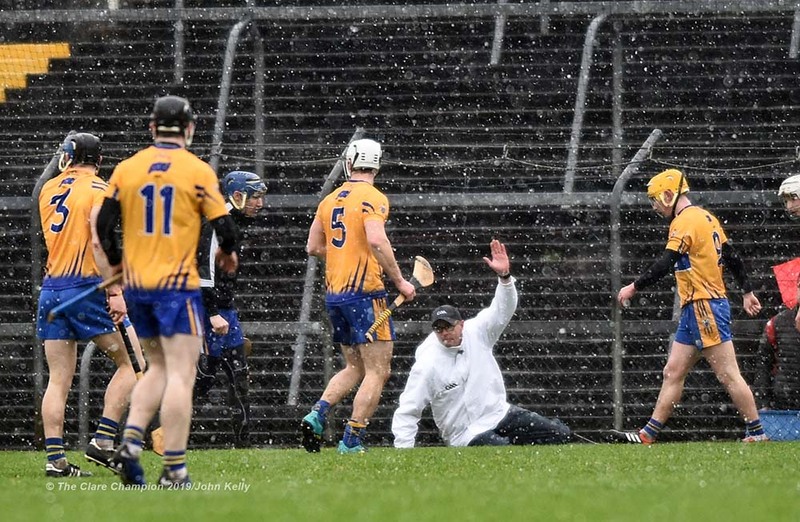 Substitute Eddie Meaney made a huge impact for Waterford in the remaining time, hitting the lead point with three to play and sealing his team’s victory a minute later with the game’s only goal folowing a defensive error on Clare’s part. 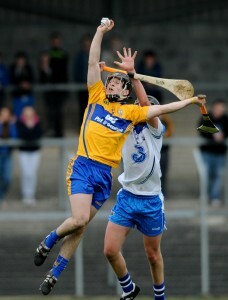 Clare must now look to the backdoor route in their search to get back into the title race. 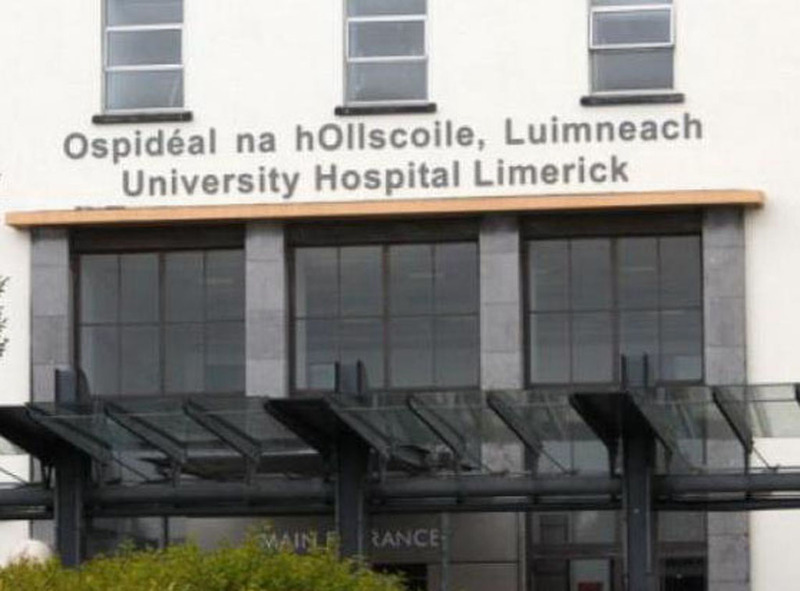 They will play Kerry on Wednesday April 23 with the winners of that tie then taking on the loser of this Thursday evening’s first round between Limerick and Tipperary for that last Provincial semi-final spot. 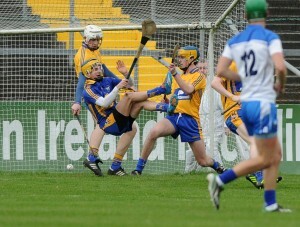 Jason Loughnane of Clare blocks a double attack at goal helped by Seamus Downey and Darragh Walsh during their Munster Minor hurling Championship game against Waterford at Cusack park. Photograph by John Kelly. 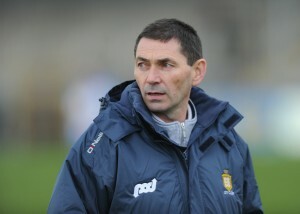 Clare Manager Eamon Fennessy during their Munster Minor hurling Championship game against Waterford at Cusack park. Photograph by John Kelly.